The national park makes up 10 percent of Guadeloupe’s general area (which means much of the island of Basse Terre), and 80 percent of the park consists of forest. There are also 54 waterfalls and countless streams and rivers. What could be more romantic than a champagne picnic amid lush tropical greenery? If it gets too hot in the sun, just jump into the chilly water to cool off! “The Shrimp Waterfall”, a.k.a. Cascade aux Ecrevisses. This small waterfall is located just a 5-minute stroll from its parking lot that is along the Route des Mamelles/Route de la Traversee. There are some big flat rocks in the river near the 15-meter tall waterfall where you can station yourself with your champagne and baguettes and various cheeses. Keep in mind that this is Guadeloupe’s most popular waterfall, so you may need to share the space with other visitors. It’s best to come in late afternoon when most tourists have already gone back to their hotels. Alternatively you can cross over the road from the Ecrevisses parking lot, and walk down to an official picnic area. You’ll find a dozen covered gazebos and four barbeque grills. If you keep walking along the river, you will come upon a opening in the river that is perfect for swimming and picnics. If you go during the work week, you may just have the place to yourself. “The Lizard Jump Waterfall”, a.k.a. Saut De La Lézarde (pictured above). The entry to the trail is not too far from the Route de la Traversee, and it’s about a 30-minute walk to get down to the fall. If it has been raining, the trail can be muddy. Once you get down to the fall, you will find a big pool to swim in. The surface for the blankets is a little rocky but it’s worth the sacrifice to get to enjoy this place. While popping the bubbly, you can admire people doing courageous jumps from the top of the waterfall. Chutes de Carbet. The highest Carbet waterfall (known as the “first Carbet waterfall) is a spectacular picnic spot as you can sit on rocks that are right in front of the 115-meter waterfall. There are often only a few other people around. You can also swim in the chilly pool of water under the waterfall. The only downside is that it takes about 1.5-2 strenuous hours to hike up to the first Carbet waterfall! The second Carbet waterfall is way easier to reach as it’s just a 20-minute hike away from the parking lot, but it doesn’t offer good spots for setting up picnics. Vieux Fort is a little hillside community located all the way in the Southern tip of Basse Terre. It takes an hour or two to get there from most parts of Guadeloupe, but it’s sooooo worth the journey. 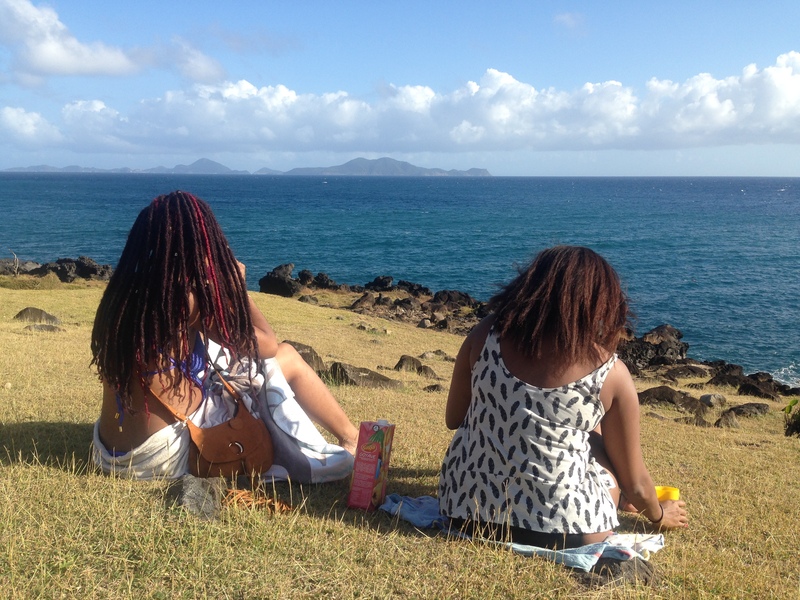 When you follow the signs to the “Phare de la Pointe du Vieux Fort” or simply toward “Le Phare,” you will come across a pretty lighthouse by the sea and an even prettier view overlooking the islands of Les Saintes. There is a large grassy area on both sides of the lighthouse. This is where I recommend setting up camp, whether you are with friends or your SO. This is where my soul rests! 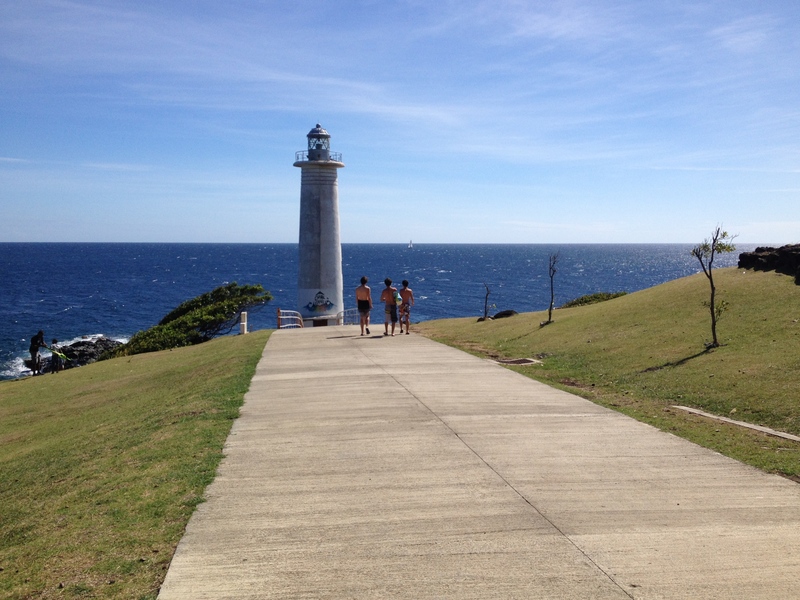 The lighthouse was built in the 1950s and was inaugurated to use in 1955. It’s there to prevent the wrecks of ships heading to and from Dominica and Les Saintes. 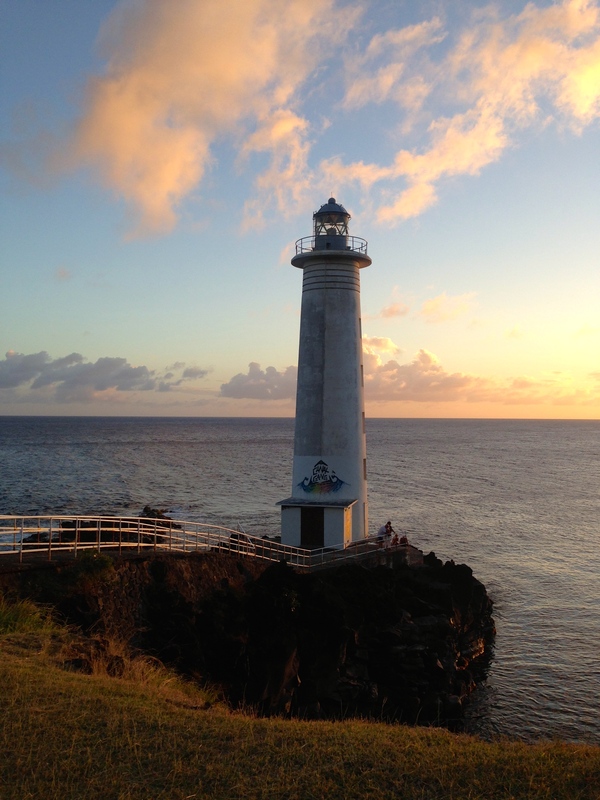 This lighthouse is the absolute best place to watch the sunset in Guadeloupe, so I recommend sticking around until the evening. You can also do cliff jumping into the bright blue seas, or admire other crazy nuts plunging down from scary heights! Snorkeling is also really nice around here, so don’t forget to bring your mask! As I’ve mentioned earlier, I’m a big fan of Gosier Island! This Robinson Crusoesque island features two little beaches that are awesome for romantic picnics, particularly if you go during the week when the island is quieter. 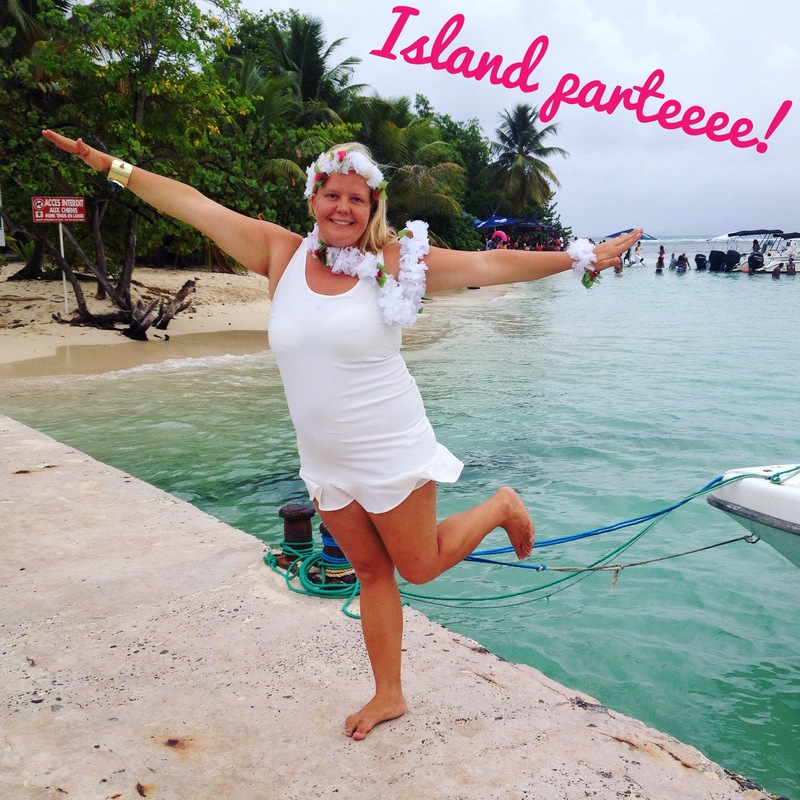 And of course Ilet du Gosier is also perfect for rowdier celebrations, BBQs and other island parties. This is list is by no means exhaustive. There are way too many romantic spots in Guadeloupe to visit even in a whole lifetime! So grab your honey boo and get over here to start exploring – the cheap Norwegian Air flights are on sale again! ← Norwegian Air just released its schedule for winter 2017-2018!